Destroying in order to create… Creating in order to destroy… 14th February 2005, a pianist played some Contemporary Classical and Baroque music in a Paris Venue, and eventually concluded with a hypnotic cover of "Strings of Life". This concert stands for InFiné's Founding Act. Three years and one album later, our pianist is more than ever driven by his desire to smash musical categories into pieces. With " Auricle Bio On" and Moritz von Oswald's Midas Touch, Francesco Tristano delivers a keystone, propelling his career towards new and unexplored sonic territories. A perfect opportunity for inFiné to introduce Hybrid, its new collection of twisted and subversive releases, precisely aimed at rekindling one's enthusiasm for music creation. With one foot in the Classical music and the other in Electronic Music networks, Francesco found his balance by executing acrobatic splits between two antagonistic genres, which makes him one the most unique and surprising profiles of the decade. As a Classical pianist, he attended some of the best music schools in the world, performed many critically acclaimed interpretations of Frescobaldi, Bach, Ravel or Berio and received awards in many prestigious competitions. 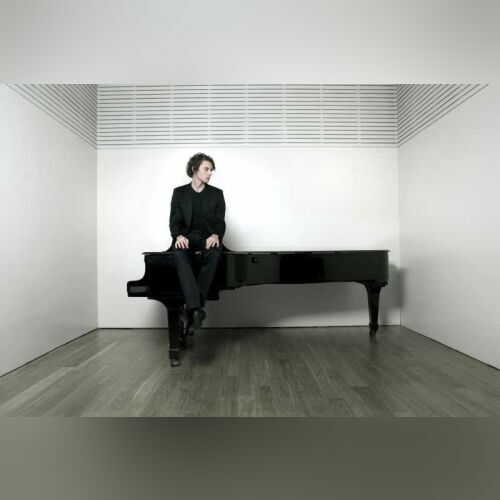 Barely over 25, he has already played at some of the world's largest auditoriums, such as New York's Carnegie Hall, Berlin's Philharmonie or Paris' Cité de la Musique. His adventures in the Electronic music circles started on his arrival at the renowned Juilliard School of New York. While the shadows of prestigious figures of Contemporary and Minimal music were still haunting the school (Steve Reich, Philipp Glass, Berio…), Francesco discovered in the Big Apple a particularly creative Techno scene in full bloom, which drove him to take up the decks and organise his own parties in Clubs with some friends. Back in Europe, he met Agoria and the InFiné team. He teamed up with him on the production of two tracks from "the Green Armchair", before starting work on his first album with the help of the Mexican mastermind, Fernando Corona aka Murcof. Together, they went on to play a few shows at renowned Electronic Music Festivals across Europe (Sonar, Villette Numérique…). Simply uncategorizable, Francesco's "Not For Piano" found its way to the hearts of its listeners more easily than to specialized press columns or to record store crates. Supported by numerous enlightened journalists across Europe, but also A-list deejays such as Mad Mike, Jeff Mills or Derrick May, this first record positioned Francesco as an artist to watch out for, at the point where Jazz, Contemporary Classical and Electronic music meet. After a first show with Innerzone Orchestra, Carl Craig – while he was reworking "The Melody" – invited him to Detroit to record some piano parts. From this meeting emerged a remix played extensively at The Miami Winter Conference 2008 as well as the Versus supercollective. Bringing Carl, Francesco, Berlin Minimal Techno Godfather Moritz von Oswald and the dance company "Les Siècles" together on stage, the “Versus” project will take place on the 18th October at La Cité de La Musique. Mixed almost live with piano Samples, Francesco unveils with this new project his thirst for sound experimentation and Techno. « Since John Cage, we know that every single noise is music. A piano is also a machine, an outstanding sound source and I use it […] to get effects, which are directly inspired by Techno.» confesses Francesco. "Auricle Bio On" captures - in two tracks over twenty minutes long - the uniqueness of Francesco's live experience, equally disconcerting and enjoyable but never annoying. It takes its listener on a musical journey driven by cluster, flanger and oscillator sounds, improvised by the musician on his machine. They alternate phases of tension and relief in a movement of spontaneity relevant to some of the best Jazz recordings of the seventies. No surprise then to find Moritz von Oswald on post-production for « Auricle Bio On ». Only the brain behind TV Victor, Rhythm and Sound and the M-series could have been able to reveal a third dimension from those raw stereo recordings, widening its sound palette, without removing their freshness. A must-have record for any sound research enthusiast!